Parking is FREE. Bus and van parking is available at the Museum in a separate lot. Accessible parking is available. The main Museum building and Rockwell’s Studio are wheelchair accessible. For directions to the Museum, click here or call 413-298-4100. 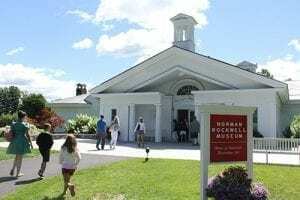 The Norman Rockwell Museum is proud to offer free admission programs to active military and their family. Active U.S. Military welcomed with free admission to the museum year-round. Valid military I.D. required. Active U.S. military and immediate family receive complimentary free admission to the museum between Memorial Day and Labor Day. Valid military I.D. required. Berkshire County Community Day Enjoy Shuffleton’s Barbershop and other Rockwell favorites, with gallery talks, scavenger hunts, and family activities. 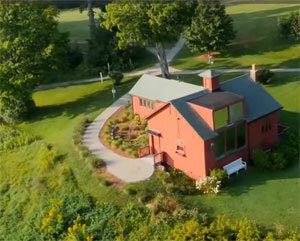 Stroll the grounds and visit Rockwell’s Studio, reopening for the season. Free admission for Berkshire County residents with ID, courtesy of Berkshire Bank.